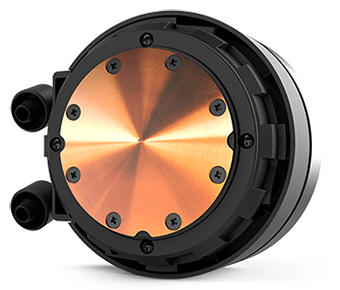 All-in-one liquid coolers have become hugely popular with system integrators and end users in recent years, and given the level of performance and ease of installation, it's easy to see why. But is there much room for one-stop solutions to improve upon earlier designs and encourage consumers to upgrade? We had our doubts, but we're always happy to be proven wrong and the latest crop of all-in-one units are showing genuine enhancements that include quieter operation, longer warranties and better aesthetics. be quiet! 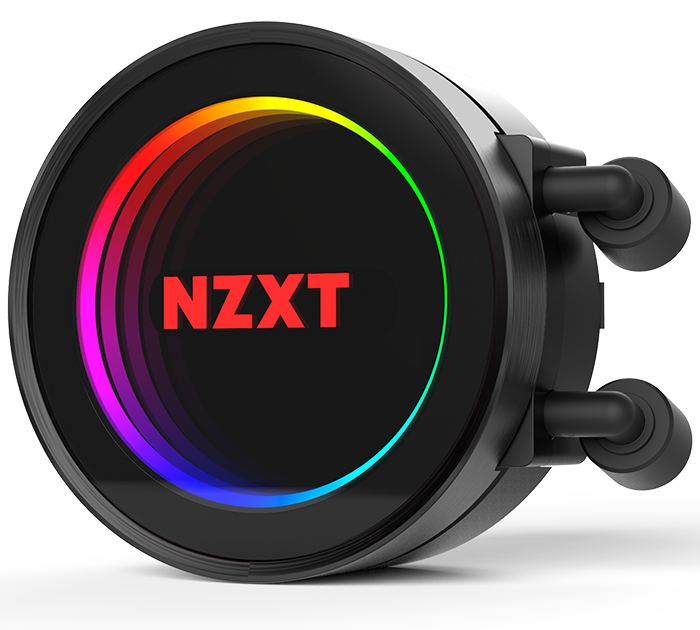 's recent Silent Loop 240mm has already emerged as arguably our favourite one-stop package to date, but NZXT is now hoping to go one better with its new-and-improved Kraken X52. Priced at £130, the Kraken X52 is NZXT's latest 240mm solution and will arrive at retail flanked by the 140mm Kraken X42 (£110) and the range-topping 280mm Kraken X62 (£140). All three are expensive propositions, yet NZXT has high hopes and claims that "everything, including the pump, radiator, and the fans, has been redesigned to bring you the greatest experience in liquid cooling." Kraken's aluminium radiator measures 275mm x 123mm x 30mm in size and serves up no major surprises, but the rest of the package offers plenty of intrigue. The fans, first of all, are a duo of 120mm Aer P120 "radiator-optimised" blowers that offer speeds of between 500 and 2,000RPM, creating airflow of up to 73CFM while keeping noise levels down to a minimum. The real star of the show is the latest-generation pump. Designed and manufactured in partnership with Asetek, the 80mm x 80mm x 53mm unit is connected to the radiator via 400mm rubber tubing wrapped in a nylon sleeve and operates at speeds of up to 2,800RPM. 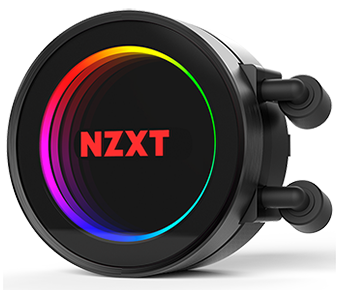 This time around, the pump is said to have been "redesigned to bring quieter operations with improved performance," and given NZXT's burgeoning range of LED-illuminated products, it's no surprise to find that RGB lighting is also included as standard. 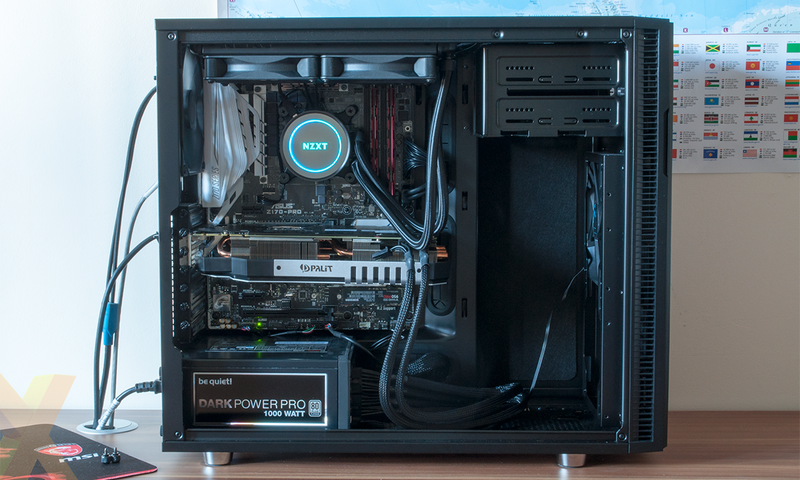 We tend not to be wooed by flashy lights, but credit where it's due, the Kraken X52 implementation is really rather nice, with the pump's mirror-finish top including a backlit NZXT logo and an encompassing circle that offers various effects. 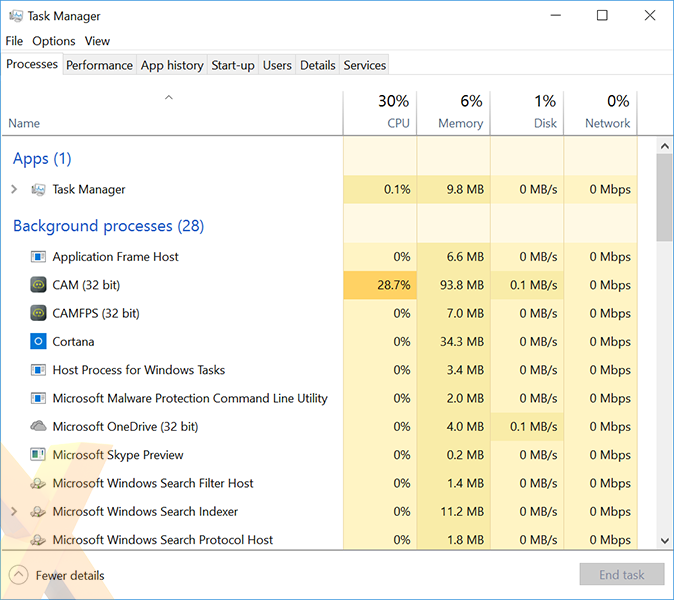 Installation hasn't changed, and that's a good thing. As with most all-in-one liquid coolers, it's as simple as attaching a backplate to the rear of the motherboard using the relevant standoffs for your CPU socket and then fixing the pump in place with a set of nuts. It is as easy as that, though considering the price point we're surprised to see that NZXT has missed some of the finer details - there's no spare thermal paste in the bundle, no airflow direction markings on the fans, and while the plastic backplate works fine we had expected an all-metal solution at this price point. The circular, illuminated pump does look rather cool in situ, don't you think? It's an impressive little unit that catches the eye, however there are a few more wires jutting out of the top of the pump than we'd like. A USB cable needs to run from the pump to a 2.0 header on the motherboard for software control, while a larger main cable splits off into a SATA power connector and four fan headers. 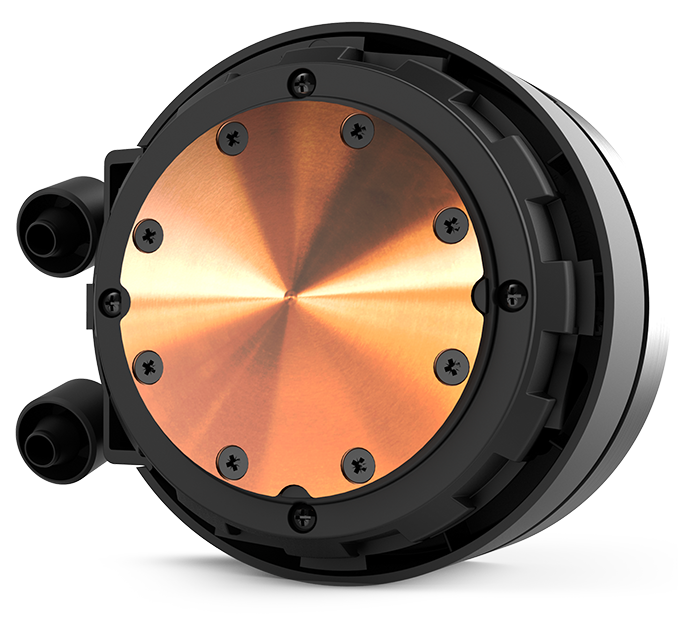 The latter allows for two optional fans to be added in a push-pull configuration, however we do feel as though the wiring arrangement adds an extra layer of complexity that the likes of the be quiet! Silent Loop have managed to avoid. Then again, if it's simplicity you're after, Kraken X52 isn't the obvious choice. This, really, is a cooler for those who want their PC to offer tinkering opportunities aplenty without having to faff with custom loops. The tinkering comes in the form of the free-to-download CAM software utility, which in addition to offering comprehensive system monitoring, lets users tweak and any compatible hardware including the Kraken coolers and a broad range of HUE+ lighting gear. 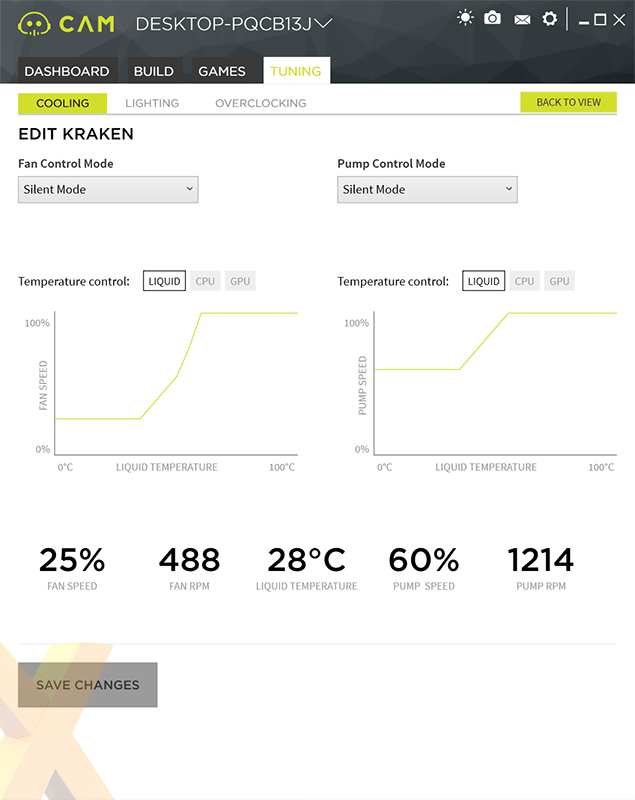 Silent Mode is the Kraken X52's default profile, however Performance Mode is just a click away and it's equally easy to create a custom profile with user-defined speed curves for both pump and fans. 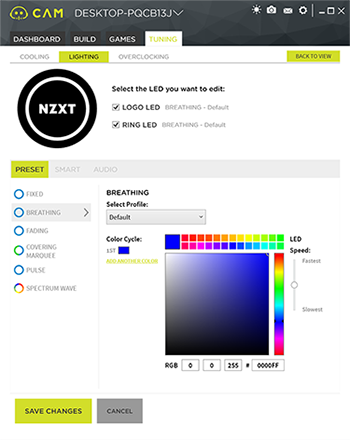 What's more fun is the lighting tab, through which the LEDs can be changed to fixed colours, numerous effects, or set to alternate based on certain conditions. Both the NZXT logo and surrounding ring are independent zones, and we particularly like having one set to reflect CPU temperature while the other changes colour based on GPU temperature. A nice touch, though we did notice that CPU usage would occasionally spike with CAM running in the system tray and LED colour changes wouldn't always apply at the first attempt. The software, currently at v3.2, will no doubt continue to evolve with bug fixes and feature additions, and the overall package holds promise for those who have invested in other HUE+ hardware. 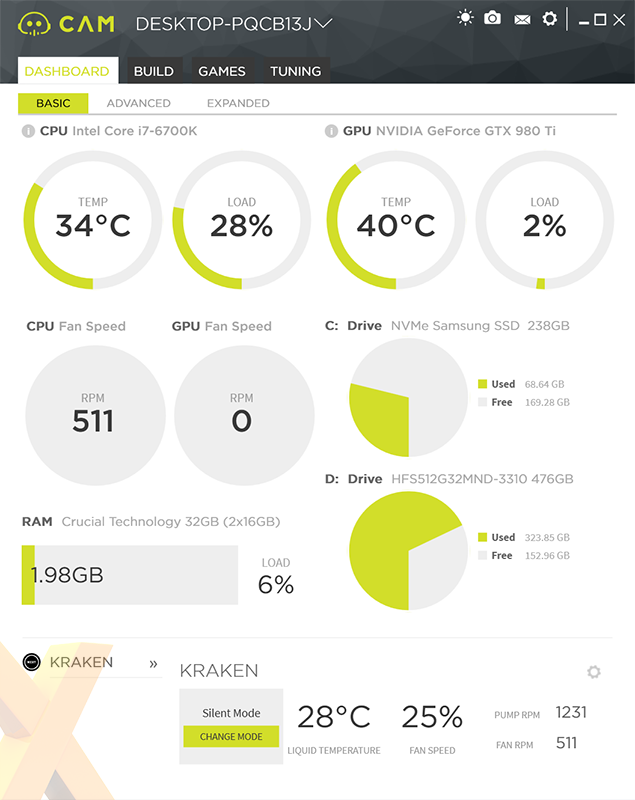 Last but not least, if you're looking for an indication into how reliability has improved, note that NZXT has seen fit to back the Kraken X52 with an impressive warranty.